With the release of Final Cut Pro X, there have been a lot of questions and concerns about the future of Final Cut Pro and the plug-ins that run inside it. First, we’re pleased to announce that we’ve already conducted extensive testing, and we are very excited about the FCP X release. We’re confident that, as Final Cut Pro X evolves, it will fuel new growth in the market and as a result, allow us to share our tools with a much broader range of users who want to create beautiful work. Red Giant’s industry leading set of color correction and grading tools, such as Magic Bullet, are well known for ease of use, powerful performance, extreme flexibility, and simple design. And they are perfectly suited for the current and next generation of Final Cut Pro users. In terms of development, you’ll be seeing Magic Bullet products available on Final Cut Pro X very soon. In fact, with the SDK in hand, we’ve already begun the engineering effort for what will be free Final Cut Pro X updates for current users. As FCP X continues to change and grow, you can count on this: Red Giant will be ready for FCP X when FCP X is ready for you. To keep up with news about product updates and more, follow us on Twitter or Facebook, or sign up for our newsletter. Can’t wait! I am glad you guys are releasing these products as free upgrades! I was dreading having to re-buy plug-ins! Any thoughts on when this update might be available? This week, month, quarter? As someone who dropped $800 on the Magic Bullet Suite *two days* before FCP X dropped (yeah, I’m an idiot), your post has reassured me that I didn’t throw money away as we all work through this painful transition to FCP X. Nice job; you just earned a customer for life! Very happy to hear that. I use MB Looks a lot and think it’s a great creative tool for color grading. To have the same possibilities integrated with FCPX would be awesome. I’m writing to you because I want to inform you about a new article of mine with a citation of this article. I hope there isn’t problem for you for my citation. If you want I can delete parts of my article about your blog-post. Sounds great. Only just purchased the new suite so it’s very reassuring to know it’s a free update… thank you! Here’s my two-cents worth… how about an interface for Looks that is integrated into the inspector window. It would make grading a snap! This is a top priority of ours and are currently working on testing and compatibility. We will definitely make an announcement when this is released. tick tock, tick tock, tick tock…. I REALLY hope you guys release this ASAP!!!!!!!!!!!!!!!!!!!!!!!!!!!!!!!!!!!!!!!!!!!!!!!!!!!!!!!!!!!!!!!! Please keep us updated, you have some very eager and anxious customers! Awesome to hear you’re working of FCPX version. I know you can’t tell us specifics…. But ballpark? Fall, Winter, 2011? Anything more concrete than “very soon”… ? I believe the goal is by the end of the summer, but I haven’t been notified of anything further. We will definitely announce once we release compatibility. Nice to hear! Colorista 2 support for FCPX will be included?! Yes. All of our products that use Final Cut will be supported. 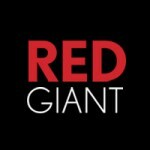 I’ve not had any hands-on experience with Red Giant and have only recently purchased FCPX. I’m very much looking forward to learning how to use Red Giant software for the first time. HURRY UP AND POP MY CHERRY DANGIT!!! Denoiser, Colorista and Steady for FCP X? Please hurry! Great work RedGiant! Is the fcpx version near? We have released Magic Bullet Mojo with compatibility with FCP X and are currently working towards releasing more products for this host application. Any idea when we have the 10.7 support for final cut 7 and the Final Cut Pro X support as well. We really need the fliters! Please!!! I’ll come wash your car, etc. We are waiting on Apple to release this fix. We will let everyone know once we release compatibility for Lion. I’m really sorry for the wait. I’m looking forward to your release for final cut x especially for looks. Any idea on an update time frame for Colorista 2? Our products are currently being tested for FCPX compatibility. No ETA as of yet, but we will make an announcement to let everyone know when we release further products. MBL, Colorista, Denoiser. If these come out in time for us, then there will be no reason not to switch our next production to FCPX. We will let everyone know as soon as we release further compatibility. We are just as excited as everyone else! Is there an ETA yet for QuickLooks compatibility with FCPX? We are still waiting on Apple to release the update that we can release further compatibility. No ETA as of yet. Hopefully this will be sooner rather then later. Ok I just went on the website and bought MOJO only to find it doesn’t work at all with the latest FCPX version which was advertised otherwise. Not happy at all !!!!! I have notified our support team of this issue. We will contact you with further information. Any news relating to Denoiser for FCPX. We absolutely plan to support Final Cut 7, Final Cut X, Avid Media Composer 6 and Premiere Pro in a later release. We will keep everyone posted about updated compatibility. I haven’t been notified of anything further. Nice job; you just earned a customer for life! Will i be able to use all of the plugins including colorista 2 ? It didn’t show its compatibility with fcpx at all. Magic Bullet Looks and Mojo are compatible with FCPX at this time. We are currently working with Apple on furthering our compatibility. But unfortunately, we do not have a timeline at this moment.